Welcome to Spokane Community College (SCC). Spokane Community College (SCC) is known for career/technical programs that get graduates jobs in high-demand professions, as well as exceptional transfer options. 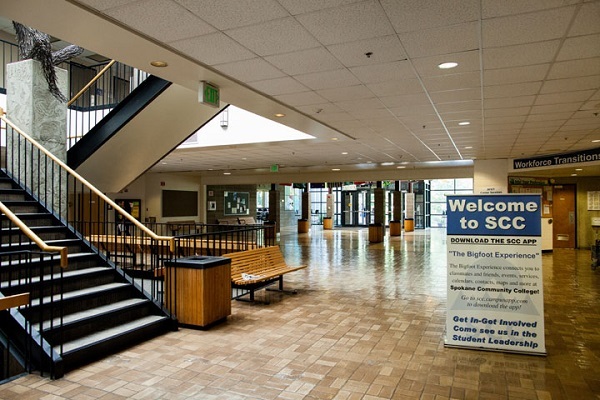 SCC serves more than 20,000 students every year at the main campus in east Spokane and centers in Colville, Inchelium, Ione, Newport and Republic, making SCC one of the largest community colleges in Washington state. SCC has more than 120 programs, including high school completion programs, transfer degrees, and ways to prepare you for a university. It also has many career and technical programs like architecture, IT, environmental science and more. Learn what SSC has to offer. Top 5 degree programs include Administrative Assistant, Automotive Technology, Social Services, Criminal Justice, and Diesel & Heavy-Duty Equipment. 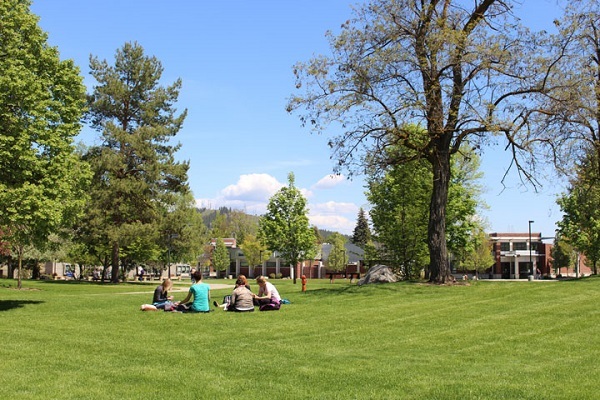 The main campus is in Spokane, with centers in Colville, Newport, Republic, Ione and Inchelium. The college opened with one building (now called the Main Building), and in 1971, construction began on a student center, science building and a physical education complex. By 1977, the campus had grown to house buildings for health care, greenhouse, automotive and trade/heavy equipment programs and had a library and administration buildings. 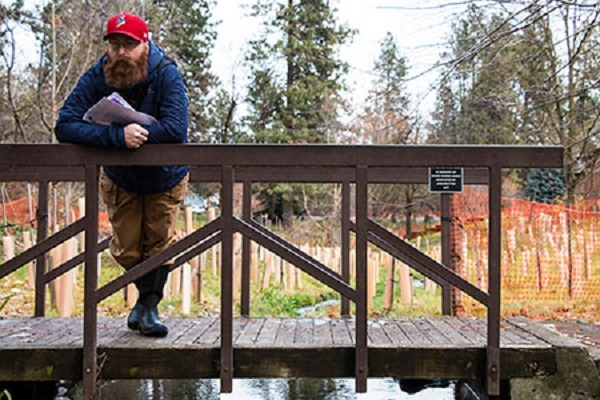 The148-acre campus located next to the Spokane River, midway between the cities of Spokane and Spokane Valley, offers more than educational opportunities for our students and the community it’s a great place to live! Spokane is in eastern Washington state. It's home to the Northwest Museum of Arts and Culture, which explores the region’s history through exhibits on art, culture and Native American heritage. Visit historical Campbell House, a Tudor-style house dating from the early 1900s. You can also take a trip through Manito Park or impressive Riverfront Park, site of the 1974 World's Fair. Over 40 clubs and organizations offering engagement with other students, personal enrichment and fun! Try something unusual like Car Club, Explorers Club or the Paranormal Society. Or stretch your Leadership muscles. SCC’s Student Leadership Center (SLC) is home to associated student government, Bigfoot events, Bigfoot marketing, and student activities. Involvement in SLC activities leads to valuable leadership training like decision making, fiscal management and conflict management. The intramural sports program strives to provide a full range of regular leagues and special events designed with student interests in mind. All our intramural sports are available to male and female students and community members in basketball, softball, volleyball, and running. There is no on-campus housing program, but local apartments are available for rent and international students have the option of staying with a local family in the Homestay program. In Homestay, students are placed in a comfortable, clean home and provided with the essentials, including private sleeping accommodations, bathing facilities and a quiet place to study. Homestay families also provide necessary household items, including a furnished bedroom, bed/bedding, desk or table, lamp, dresser and closet, linens for the bed, and towels. Homestay families respect the student’s right to privacy, including mail and bedroom space. Students are expected to practice the same courtesy toward the family. Homestay families provide a variety of nutritional food for breakfast, lunch, dinner and snacks every day, including weekends. Students prepare their own breakfast and lunch from food the family provides, but most evenings a dinner meal is prepared by the family. Two restaurants on campus also give a wide variety of food options. There are no formal meal plans, but students can get food discounts by adding funds to their student IDs. Bigfoot Bucks make your student ID card into a debit card! Add money to your account and use your student ID to make purchases. Purchases work just like cash, credit, or debit purchases, with the added benefit of not paying sales tax! 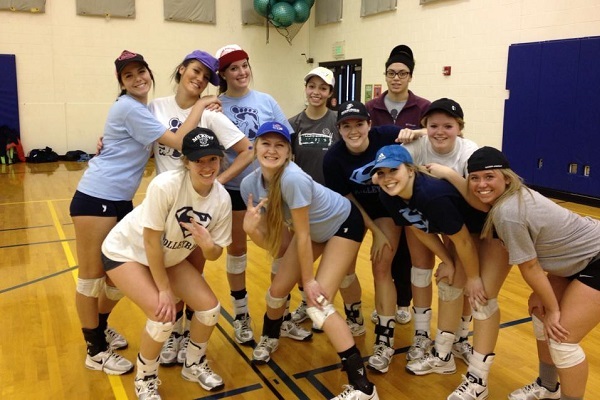 The Community Colleges of Spokane offers a wide range of intercollegiate athletic programs (like baseball, basketball, golf, soccer and more), open to full time students at both colleges. Both, men's and women's teams, participate in the Northwest Athletic Association of Community Colleges. The school boasts 160 NWAC Championships, 218 NWAC Region Championships, 4 NCWSA Championships, and 3 NJCAA Championships.